Make no mistake. 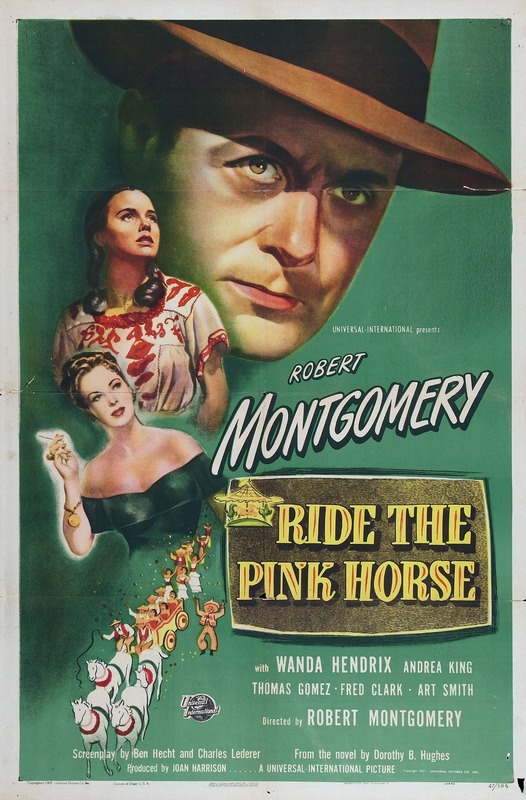 Lucky Gagin (Robert Montgomery) is a chump to end all chumps in Ride the Pink Horse (1947), Montgomery’s own adaptation of Dorothy B. Hughes’ mystery novel, and the marquee opening-night presentation of Elliot Lavine’s latest “I Wake Up Dreaming” noir film series. A year after playing Raymond Chandler’s knight errant private eye Phillip Marlowe in Lady in the Lake, he inhabits a character with a more elastic sense of justice. He also has a brain missing a few crucial cells, namely the ones that should warn him that his plot to avenge his buddy Shorty’s death and make some cash has holes in it a freight train could fit through. Credit: Courtesy of Elliot Lavine. Written by Kiss of Death duo Ben Hecht and Charles Lederer and shot by Russell Metty, Ride the Pink Horse is the perfect kick-off for Lavine’s latest, 12-film program, which runs Thursdays, Aug 6-Sept 3, at San Francisco’s Castro Theatre, and will screen all 35mm prints. An offbeat noir, it is set not in urban squalor, but dusty San Pablo, New Mexico, a tiny dot on the map overrun by tourists visiting for the annual fiesta. A newcomer, Gagin is an object of scorn on the Anglo side of town, particularly once he puts the bite on crooked businessman Frank Hugo (Fred Clark). The Mexican quarter is more amenable, with carousel operator (and owner of the titular pink horse) Pancho (Oscar-nominated Thomas Gomez) and spooky, naïve, and possibly psychic Pila (Wanda Hendrix) befriending him despite their conviction that he’s headed for trouble. One of only five features that Montgomery directed, Ride the Pink Horse is tense, moody, and atmospheric, the recurring image of the carousel with the horses riding round and round and getting nowhere an appropriate symbol for Gagin’s quest. Among “I Wake Up Dreaming’s” other highlights are Chinatown at Midnight (1949), a Columbia B-picture set in San Francisco. 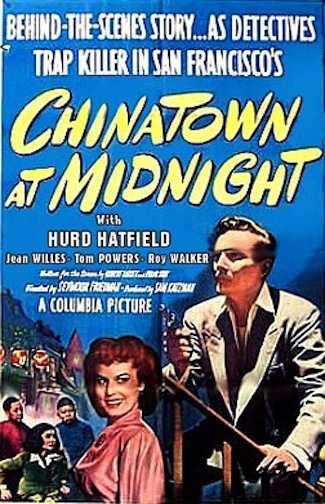 A narrator describes Chinatown as a place of “undercurrents of intrigue or violence.” Maybe so, but it’s not any of Chinatown’s residents who are responsible for that in this nasty little noir, where the only mystery is whether the police will catch up with Clifford Ward (Hurd Hatfield), a young psychopath with a talent for languages, before he drops more bodies in the neighborhood. Clifford counts on the cops trading in stereotypes for cover and what he regards as his own superior intellect to keep him out of the gas chamber. 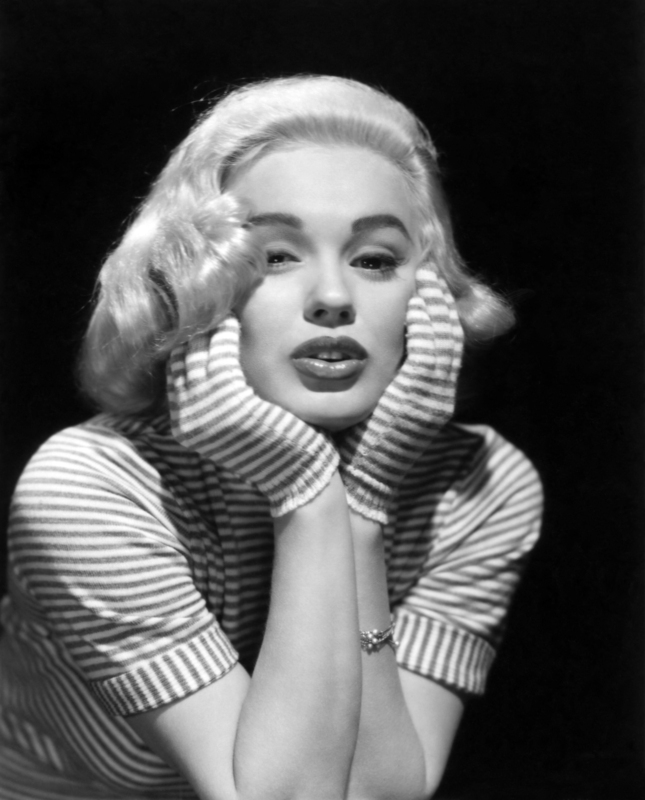 Va-va-voom: Mamie Van Doren brings blonde heat to Guns, Girls & Gangsters. Credit: Courtesy of Elliot Lavine. The underrated Gerard Mohr brings his seedy, suave charm to Guns, Girls & Gangsters (1959), playing ex-con Chuck Weaver, who is no sooner paroled from San Quentin than he is planning his next job. Like Ocean’s 11, which came out the following year, the film revolves around relieving a casino of its New Year’s receipts. There are less moving parts than in the Sinatra picture, and much of it takes place in a roadside motor court far from Las Vegas’s neon lights. Wheeler thinks he’s devised a plan with little risk, but he forgets about the human element. Can he trust any of his confederates, a group that includes casino honcho Joe Darren (Grant Richards), grumpy singer Vi Victor (a va-va-voom Mamie Van Doren), and his still-imprisoned cell mate Mike Bennett (an explosive Lee Van Cleef)—Vi’s crazy jealous, soon-to-be-ex-husband? A year before he made his ingenious heist noir The Killing, Stanley Kubrick turned Manhattan into his personal, sleazy playground with Killer’s Kiss (1955). The simple story of a palooka (Jamie Smith) coming to the aid of a taxi dancer (Gloria Price) who is an abusive relationship with her boss (Frank Silvera) and falling in love, the film plays out like a Weegee tabloid picture brought to life. Shot by Kubrick himself, it evokes the seamier side of New York at a time when Times Square was awash in neon, the streets teemed with hard men (and pranking Shriners), and an industrial city housed a creepy mannequin factory. 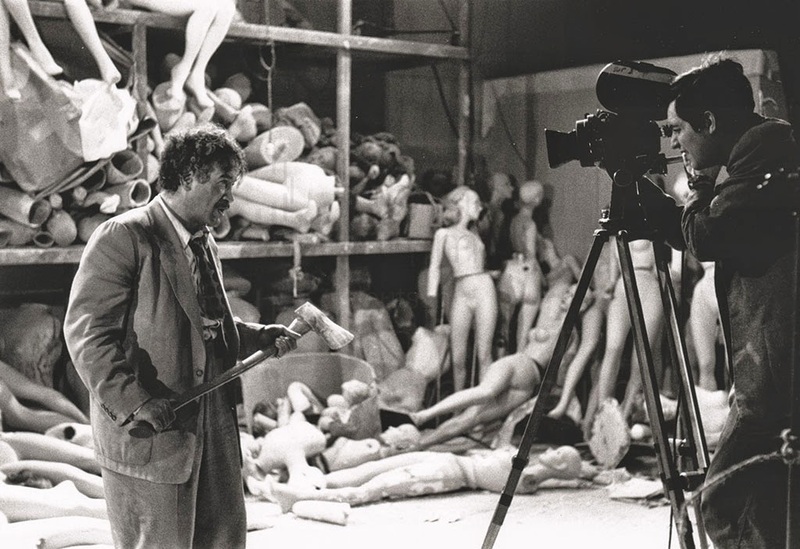 Tourist trap: Stanley Kubrick directs Frank Silvera in Killer’s Kiss. Credit: cscottrollins.blogspot.com. Two David Goodis adaptations close out “I Wake Up Dreaming.” Former Crockett constable Aldo Ray is James Vanning, an artist caught in a vise between mobsters and the police in Jacques Tourneur’s gripping Nightfall (1957). Wanted for bank robbery and murder, crimes he didn’t commit, Vanning hides out in Los Angeles. But there are goons (Brian Keith and a hilarious Rudy Bond) after him, and an insurance investigator (James Gregory) watching him. He meets a model (a stunning Anne Bancroft), but prospects for the relationship—or for Vanning living much longer—don’t look good. Sunny Hollywood gives way to snow-blanketed Wyoming and Vanning’s one, slim chance to get clear. Burnett Guffey’s cinematography, particularly for the Wyoming scenes, is glorious in a film where the suspense is relentless. 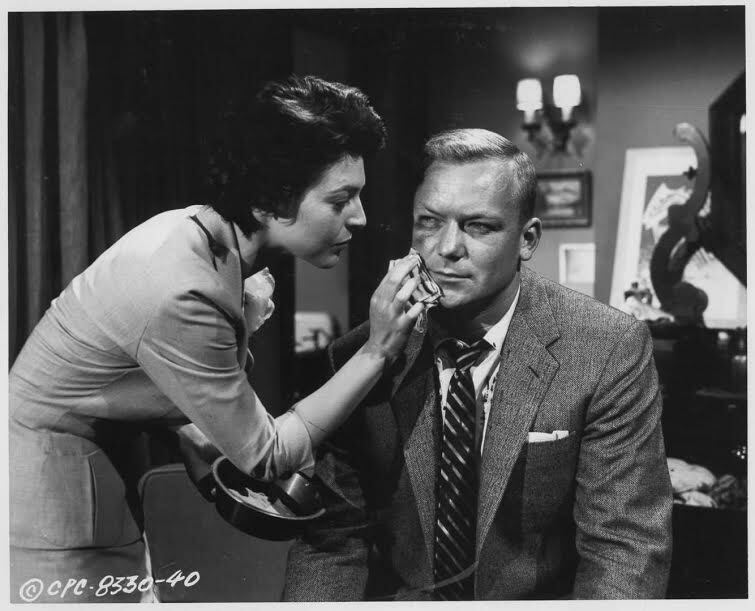 Bruising B&W: Anne Bancroft tends to Brian Keith in Nightfall. Credit: Courtesy of Elliot Lavine. Paul Wendkos makes an unforgettable directing debut with The Burglar (1957) starring the wonderful Dan Duryea as thief Nate Harbin. Goodis adapts his own novel and Jayne Mansfield plays Harbin’s ward Gladden in this downbeat thriller in which Harbin and his gang plan to steal a valuable necklace from a phony spiritualist. But it’s one thing to be able to lift a thing and another to have the patience to wait it out until it’s safe to unload it. Can there ever be honor among thieves? The tension is unrelenting as the story moves inexorably to its stunning climax on the Atlantic City boardwalk. August 6-September, 2015; every Thursday. Castro Theatre, 429 Castro St, SF. (415) 621-6120. iwakeupdreaming.com. Pam Grady is a San Francisco-based freelance writer whose work has appeared in the San Francisco Chronicle, Box Office, Keyframe, and other publications. She is a member of the San Francisco Film Critics Circle. This entry was posted in Columnists, Films, Films: Classics, Films: Festivals, Films: Noir and tagged Castro Theatre, film noir, I Wake Up Dreaming, Pam Grady. Bookmark the permalink.